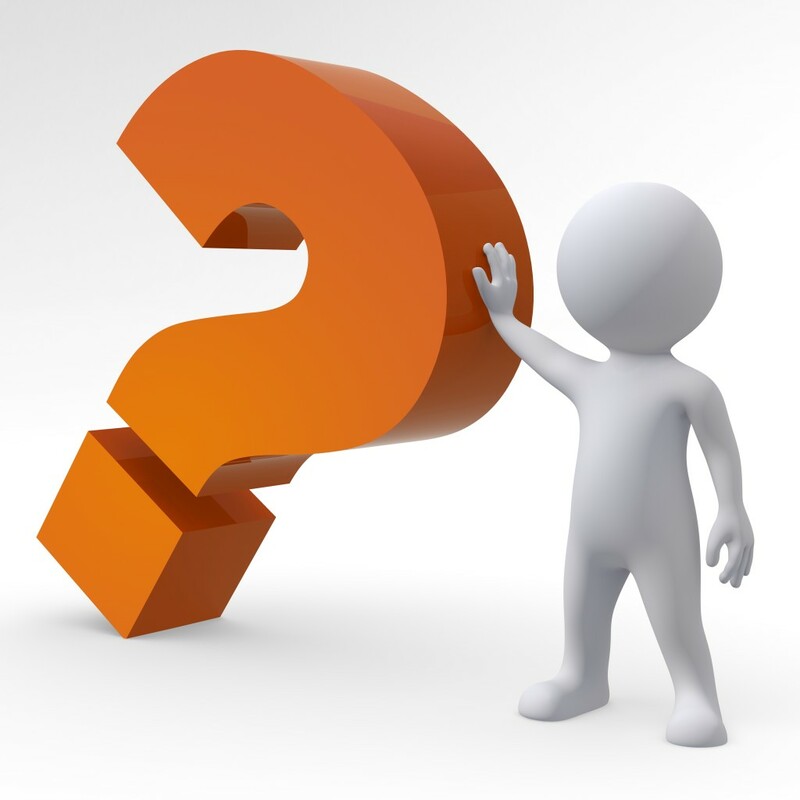 The FAQ below addresses questions specifically for Sociology PhD applicants. For a technical FAQ about the online application, view the Graduate Admissions FAQ. What are the minimum or average GPA and GRE scores? How many applications does the department receive? Do I need a Sociology degree to apply? Can I receive an application fee waiver? May I visit the department before applying? Can I contact current students? Do I apply separately for funding? I’m from out of state, how does that affect my tuition and fees? I’ve been admitted, what next? What funding is available for Sociology PhD students? 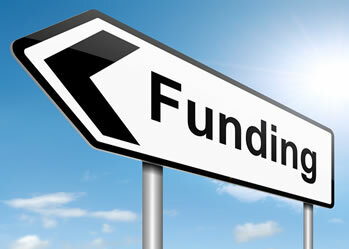 What funding does a TAship provide? Is there TA Training for new TAs? Does the program admit international students? What extra costs do I have to pay as an international student? What are the PhD requirements? How long does it take to complete the Ph.D.? Is there a Sociology MA program at UCSC? Will previous graduate coursework or Master’s degree transfer? I am employed full-time. Is it possible to attend part-time? What opportunities are available to Sociology students to work with faculty in other departments? The department does not track these averages, nor has it established minimum acceptable GPAs or GRE scores. Admission is competitive, however, and each year many highly qualified applicants are denied admission. Each application is carefully considered and reviewed as a whole, and applicants with lower scores might be considered favorably when there is other strong evidence of academic promise in the entire file. The department receives from 100 - 115 applications each year. The size of the incoming class varies, and averages about five to seven new students per year. Admission offers are made to those considered highly qualified and who have the best fit with the department. Occasionally the department maintains a short waitlist. However, when someone declines their offer, it is not the case that a space automatically opens up for a waitlisted applicant. Offers are made to more applicants than the department expects will accept. Waitlisted applicants may receive an offer if there are resources available after the department knows the total number and amount of accepted offers. The department may ask a few applicants if they wish to remain on a waitlist. If an offer can be made to a waitlisted applicant, they must first confirm that they have not already accepted another offer. A Sociology degree is not required to apply. Most applicants have a degree or background in social sciences-related fields, and they have a fairly well-defined research focus. For applicants with other backgrounds, it is important to show that you're prepared for graduate studies in sociology. The basic requirement is completion of a Bachelor’s degree prior to entering the program. Many applicants do have a Master’s degree or some previous graduate coursework, but this is not required. No preference is automatically given to those with post-baccalaureate degrees or certifications. The department typically makes admission decisions by mid-February and relays its decisions to Graduate Admissions. The official offer of admission and funding is sent via email from Graduate Admissions. Admitted students have until April 15 to accept or decline the offer. The department does not provide status about decisions prior to the formal notifications sent from Graduate Admissions. Nor will Graduate Admissions give any status prior to the email notification. Shortly after offers are sent from Graduate Admissions, Sociology faculty phone everyone offered admission to answer questions you may have about the program or your offer. You may also contact the Sociology Department Graduate Program Coordinator about your offer. The Department will confirm whether a few applicants wish to remain on a waitlist; these applicants will not receive a notification from Graduate Admissions. Graduate Admissions will send email notification to students denied admission. These usually follow within a few days of the admissions offers. Some applicants may be eligible for a waiver of the application fee based upon either financial hardship or participation in a qualifying program. International students are not eligible for fee waivers. Contact Graduate Admissions for a waiver authorization, the department does not handle application fee waivers. Fee waiver request forms must be received by the Graduate Admissions office at least ten days prior to the department's application deadline. For more information, see Graduate Admissions FAQs. Yes, you may visit the department before applying. However, a visit does not increase an applicant’s chance for admission. All admitted students are invited to a group visit held in March of each year. Activities during this group visit usually provide enough information to allow potential students to make an informed decision about accepting their offer. Please contact the Sociology Graduate Coordinator at socyga@ucsc.edu if you wish to arrange a visit. If you are interested in meeting with faculty, the best thing to do is to first establish communication by email and set up an appointment. Many graduate students are open to corresponding with prospective students. Their contact information is located on the Graduate Students web page. In addition, you can contact the Graduate Coordinator for suggestions on certain students to contact, according to your research interests. No. Your funding package will be determined according to the application submitted to the Sociology Department. Students should indicate that they would like to be considered for department funding and campus fellowships on the application. Funding decisions are made by the selection committee and are based on merit. Out of state students must pay non-resident supplemental tuition, in addition to the tuition and fees. Students can establish residency within their first year of California residency, which will allow them to be classified as a resident from their second year on. As part of the first-year funding package, out-of-state students may receive an amount that covers both the tuition and non-resident supplemental tuition. For more information on residency, see the Residency website. To help you make your decision, the Sociology Department hosts an Admit Visit Day in March. The Visit Day is a one-day event where prospective students meet others who have been admitted, meet faculty, and current students. Propective students have the opportunity to meet with the Graduate Director and their potential faculty advisors. In addition, the visit includes a tour of the campus and other relevant activities to help students finalize their decision. The visit day is held on a weekday when classes are in session (usually on a Monday to allow for weekend arrival). While we encourage attendance from as many new admits as possible, we realize that some people will have work, school, or family conflicts. The best time for admitted students to visit is on Visit Day, but if you are unable to do so, the department may be able to accommodate your visit at a separate time with advance notice. Students will receive travel reimbursement that may cover all or some of the travel costs to attend the Visit Day. The department endeavors to provide funding support to the majority of admitted students. With an admission offer the department aims to provide first-year funding, which may inlcude a combination of fellowships and TAships. Some offers may include multi-year funding. The only guaranteed funding is that stated in the offer letter. Regent's Fellowships: A limited number of these fellowships are awarded to first-year graduate students. These awards provide a stipend and/or payment of university fees and may include nonresident tuition. Chancellor's Fellowships (Campus wide competition): A limited number of these fellowships are awarded to first-year graduate students. These merit-based nine-month awards provided a stipend of $24,000 plus payment of all university fees, including nonresident tuition. Eugene Cota-Robles Fellowships (Campus wide competition): These state-funded, merit-based fellowships are awarded on a competitive basis to first-year graduate students who have overcome significant social or educational obstacles to achieve a college education, and whose backgrounds equip them to contribute to intellectual diversity among the graduate student population. The Cota-Robles fellowship provides a stipend during the regular academic year of $21,000 plus payment of all university fees (except non-resident tuition); for the summer quarter, a $3,000 stipend is awarded. The Cota-Robles Fellowship is part of a five-year total support package with the department providing support for years three and four and Graduate Division providing support for years one, two, and five. Fellowship recipients must be U.S. citizens or permanent residents. For years beyond the guaranteed amount of funding, students often find TAships or Graduate Student Researcher positions in Sociology or in a different department. 1st through 4th year students receive priority for Sociology TAships. After advancing to candidacy, students can apply to be a Teaching Fellow, during which they teach their own courses in Sociology or in another department. A limited number of campus-wide dissertation-year fellowships are awarded each year to doctoral students who are within one year of completing their PhD. These fellowships offer a quarterly stipend and payment of full fees in the final dissertation year. In addition to departmental and university sources of funding, students often apply to outside grants and fellowships to fund their education. Note that summer is not a graduate academic term, and there is no funding guaranteed during summer. Some students do receive TA positions during summer. Available positions are very limited and competitive than during the academic year. Some students are hired as GSRs during summer. But many students do not receive funding during the summer. TAships provide a TA salary and covers the Student Services Fee, CA Resident Tuition & Health Insurance. For 2017-18, the TA salary is $6,884.33 per quarter. A TAship covers all but approximately $403 in campus fees per quarter, which can be paid out of your paycheck through a fee deferment. TA fee remission does not include non-resident supplemental tuition. Out-of-state students typically establish residency in their first year of study, so this rarely applies. However, international students must pay non-resident supplemental tuition of $5,034 per quarter even if they are working as TAs. Training is mandatory for all Sociology graduate students before they work in the classroom as TAs. Training is typically offered within the first few days of fall quarter. The TA Trainer is usually a Sociology graduate student who has advanced to candidacy and who has excellent teaching evaluations. In addition, the TA trainer is available to mentor students in their first year as a TA. The department welcomes applications from international students. The following information may help you decide whether to apply. Applicants from countries where English is not the primary language must take the Test of English as a Foreign Language (TOEFL) or the International English Language Testing System test (IELTS). The minimum scores for admission are lower than those required for consideration for teaching assistantships. For admission to the Sociology program, the minimum scores are: 550 for paper-based TOEFL, 83 for internet-based TOEFL, or 7 for IELTS. To be considered for Teaching Assistantships, you must score 26 or higher on the Spoken Word portion of the internet-based TOEFL, or get an overall score of 8 for IELTS. You should not assume that you're exempt from this requirement. Receiving a degree in an English-speaking country does not automatically make you exempt, however, you may be considered for an exemption if you've also worked as a teaching assistant. Contact the department if you think you may qualify for an exemption of the language exam to initiate the waiver process. Most sociology graduate students depend to a large extent upon TAships for funding, so English fluency is essential. Some international students experience financial difficulty meeting the non-resident tuition expense. International students have the same eligibility for teaching appointments; these pay a salary and a large portion of graduate student tuition. But teaching appointments do not pay for supplemental non-resident tuition; NRT is $5,034 per quarter, $15,102 per year. Unless covered by NRT fellowship support, an international student owes NRT every quarter until they pass their qualifying exam and advance to candidacy (usually during the third or fourth year). The department may offer a limited number of first-year NRT fellowships. The department can nominate a few international applicants for a limited number of two-year NRT fellowships; if any of these nominees is selected, the department may include two years of NRT ($30,204 total, $15,102 per year) in the offer. These fellowships, however, are for the first two years only, so the student would still owe any additional quarters' of NRT until they pass their qualifying exam. Transcripts must be submitted in the original language and with an English translation. Many institutions may use an alternate grading scale; this is not a problem. Be sure to include at least one copy of the page that shows the explanation of the grading. International students have the same eligibility for departmental stipends and tuition fellowships as other applicants. They have the same eligibility for student teaching appointments. They are eligible for Graduate Student Researcher positions (GSRships); these positions are fairly limited within Social Sciences, but they are the only graduate student employment that covers non-resident tuition, if applicable. International students are not eligible for diversity fellowships, nor are they eligible for need-based financial aid. It is helpful if international applicants clearly show details about other sources of graduate support for which they've applied, are under consideration, or have been awarded (e.g., from their government, Fulbright or other scholarship funding). Such funding is not required, but it could help demonstrate that the applicant will have sufficient resources, and is less likely to experience financial difficulties, during their time in the program. The applicant doesn't show actual proof of support until they apply for the I-20, but most consider their finances closely before accepting an offer. International students must pay both the graduate student fees and non-resident supplemental tuition (NRT) until they advance to candidacy. After advancing to candidacy, international students are exempt from supplemental non-resident tuition for three years. Non-resident tuition resumes if an international student does not complete their PhD during the three-year period. For further details, view the PhD requirements. Students are expected to complete their PhD within seven years. Some students finish by the end of their fifth or sixth year. The sociology program at UCSC is a PhD - not an MA - program. After students complete the required coursework and master's paper, they may apply for a non-terminal master's degree on route to the PhD. If you're interested in an MA only, many of the California State Universities (CSU) offer sociology master's programs. An admitted applicant who has accepted an offer may submit a course waiver request for previous Sociology coursework. The course waiver request must be submitted with a course syllabus. The waiver request will be reviewed by sociology faculty who teach the course to be waived. A previous Master's degree does not count in and of itself as a step towards the PhD. Nor may students transfer directly from another MA or PhD program. Everyone must apply, and be accepted for admission, through the regular applications process. This program assumes students are pursuing the PhD full-time. Students must complete a substantial amount of required coursework along with their Master's paper. In addition, students are expected to serve as teaching assistants for the department’s courses, which can require a weekly commitment of up to 20 hours. Part-time enrollment (and/or outside employment) is more common for students after they've advanced to candidacy. Note that part-time students are not eligible for TAships. The program offers interdisciplinary opportunities. One of three elective courses may be from outside Sociology, and some students choose to take seminars in other departments. In addition, graduate students in Sociology may obtain a Designated Emphasis on the Sociology PhD diploma indicating that they have specialized in a specific field in an external department. Departments across campus offer a Designated Emphasis, including Environmental Studies, Feminist Studies, History of Art & Visual Culture, History of Consciousness, Latino and Latin American Studies, Education, and Politics. View the full list of departments that offer Designated Emphashes. To pursue a DE, contact the department’s graduate coordinator after admission into the program. Typical requirements range from having a designated advisor from the external department that serves on your Qualifying Exam and/or Dissertation Reading Committee, required coursework, to a written component. Many sociology faculty and graduate students participate in research groups with campuswide membership. Learn more at the Research Centers website and Working Groups and Research Clusters website. In addition, students can participate in the Institute for Humanities Research's Centers & Projects and Clusters and Working Groups. There are also multi-campus groups, such as the UC Center for New Racial Studies. If you have further questions, contact the Graduate Coordinator at socyga@ucsc.edu, or call 831-459-3168.